On the surface, this company in the Home Goods, Services, and Pets industry might look like most other eCommerce brands. Behind the scenes, however, it’s a company with a unique — and very philanthropic — way of doing business. 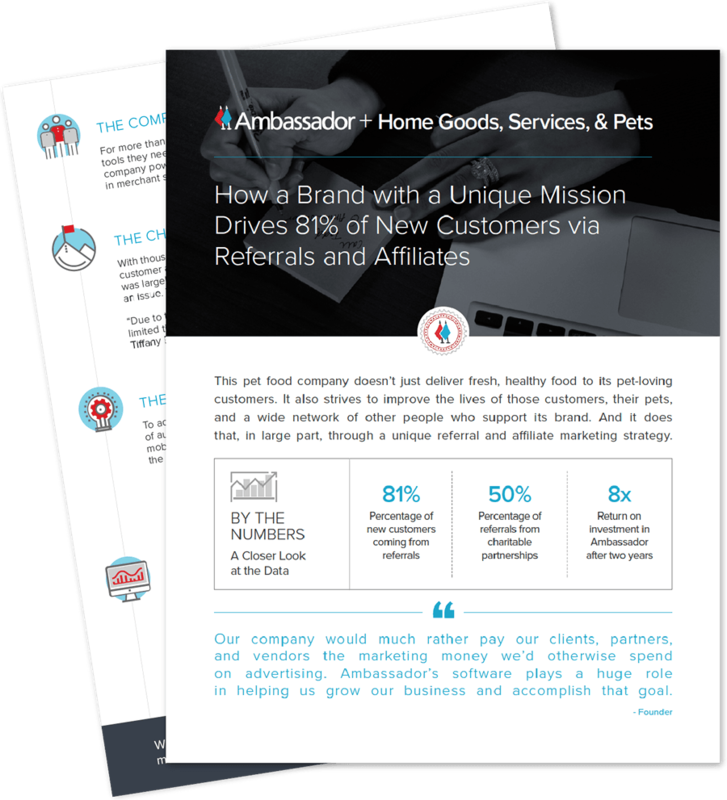 In fact, the brand’s biggest sales and marketing assets are its network of charitable organizations — animal rescues, humane societies, and veterinarians. While the subscription-based pet food company is thrilled to have many charitable organizations advocate on behalf of its brand, the company is equally motivated to make sure those groups are rewarded for their efforts. That’s why, in 2014, the brand decided to implement an all-in-one marketing technology that would more accurately track and compensate both affiliate and referral networks on one platform.